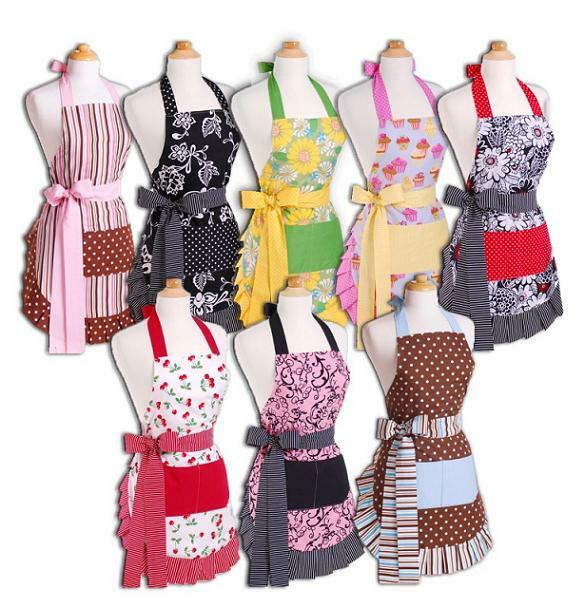 Today I will be giving away a fashionable and adorable apron from Flirty Aprons!!! I’m sure this will be something that you will want to wear all day and everyday and your friends, family, colleagues, and students will all want one!!! Once you win, you will be able to choose your own design!!! To qualify for this drawing, just tell me what is your favorite area of FACS!!! Good Luck everyone! The winner will be announced tommorrow night!!! I love all areas of FACS! But if I had to pick one…I would go with the education we give on food…from prep to nutrition! I also love that our profession is based on the basics…yet we continue to learn and explore new things! Adorable! Looks so fun to wear! My favorite area of FCS is sewing! My favorite content area is foods & nutrition. My favorite area of FACS is Teaching/Education. I love preparing future teachers to take on the challenge of preparing young minds for their future! WOW! I love teaching Hospitality and Human Services. I love it all! But, I suppose if I would have to pick, it would be the interior design! Child development is a close second, tied with Foods, though! Child development/family life comes in first, a close second is foods/nutrition. But, of course I love them all! I love Child Development and Independent Living.